Looking for a romantic getaway with your significant other? 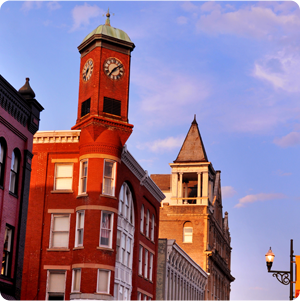 Couples can unwind and reconnect as they explore Staunton’s unique culture. Plan to share romantic meals, be pampered in luxurious lodgings, sightsee along one of America’s best main streets, and even discover the great outdoors. Best of all, we’ve done the planning for you. Leave your cares behind as you check out our jam-packed romantic weekend schedule. 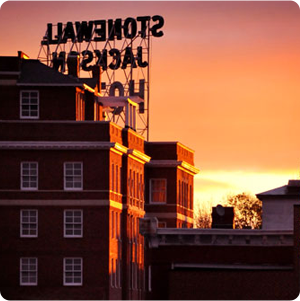 Staunton offers a number of dreamy lodging options, but some of our favorites are set in beautifully restored historic buildings. The Stonewall Jackson Hotel and The Blackburn Inn both feature elegant rooms and restaurants on the premises where you can get a drink or delicious meal. The Berkeley House Bed and Breakfast offers an elaborate breakfast, Saturday-afternoon wine and cheese, and packages for lodging and in-room couples massages. 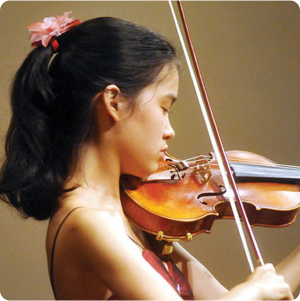 For additional ideas, read our blogs on bed and breakfasts and unique places to stay. For one of the best views in Augusta County, take a the scenic drive to Barren Ridge Vineyards for a picnic and some local wine. Reconnect with your sweetie as you sit on the patio and admire the sunset. In-town options include Bedlam Brewing, where you can order a stellar dinner along with your great beer. You won’t be disappointed with the beer-battered fish and chips or one of their gourmet pizzas. Queen City Brewing’s fine tap list is often accompanied by live music and a food truck on Friday nights. It’s also close to Gypsy Hill Park where you can share an after-dinner stroll or feed the ducks together. Start your romantic Saturday off right with some light fare at one of Staunton’s coffee shops. Located in downtown Staunton, Réunion Bakery & Espresso offers the caffeine you need to get your day rolling as well as a mouthwatering selection of French-inspired pastries. The shop boasts a charming interior and looks as if it came from a design magazine. Alternately, you might stop in at the By & By, and enjoy espresso drinks, bagels, and grilled sandwiches while checking out the art by local artists adorning the walls. Another good bet is Blue Mountain Coffee, located in the Wharf historic district, which gives you direct access to the Farmers’ Market. Enjoy a wide selection of coffee drinks and light fare such as bagel sandwiches and muffins. Hold hands as you stroll through the Staunton Farmers’ Market and eye the autumn bounty. Surprise your sweetie with a seasonal bouquet, stock up on some snacks for later, or just enjoy Staunton’s welcoming feeling of community. Enjoying all that walking and hand holding? Hang onto that feeling by exploring our charming downtown on foot. Take a walking tour with the Historic Staunton Foundation or go mobile and use the Traipse App to customize your own tour with keywords like “shopping,” “history,” or “libations.” Discover more history at the Camera Heritage Museum or the Woodrow Wilson Presidential Library and Museum. And finally, make sure to check out our wealth of independent shops, galleries, and antique stores. You’ll find a range of wares including gourmet chocolate and olive oil, art-glass ornaments, toy arms and armor, and vintage treasure of all kinds. Awaken your taste buds by savoring some global cuisine for lunch. Treat yourself to a scrumptious Indian buffet at Taste of India, where you’ll find a variety of chicken or vegetarian entrees. Alternately, try one of the lunch specials at Chicano Boy Taco. You’ll swoon over the fresh tortillas and you can people watch if you get sick of gazing into each others’ eyes. 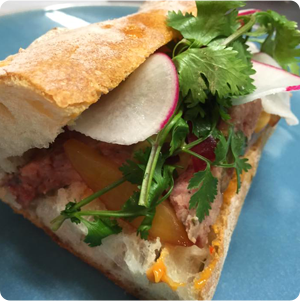 Check out Staunton’s Global Cuisine for other global favorites. You might just want to head back to your room to unwind with a nap and a cuddle, but if you’re still walking around downtown Staunton, stop to flirt over some wine at Ox Eye Tasting Room or Yelping Dog Wine. If you’d rather refresh yourself with beer, Shenandoah Valley Brewing Co. and Redbeard Brewing Company are steps away. 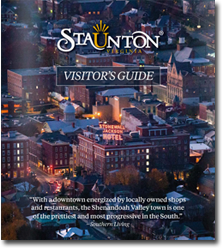 For more information on Staunton’s watering holes, check out A Staunton Beer and Wine Tour. Remember all those movies with romantic meals in Italian restaurants? Channel the romance of the Lady and the Tramp noodle scene when you take your love out to a candlelit dinner at Emilo’s Italian Restaurant. Another good bet is farm-to-table fine-dining favorite, The Shack, where you’ll find inspired and creative meals made using seasonal ingredients. If you’re looking for steak, you might enjoy the Mill Street Grill. Follow your romantic meal with a show at the American Shakespeare Center. The fall season includes comedies As You Like It, Emma, and The Man of Mode. If your relationship can handle backstabbing and a little murder, don’t miss Richard III. New to the Staunton brunch scene, Zynodoa offers inspired southern cuisine in a stylish, metropolitan setting. Their seasonally-driven menu features delights like baked French toast on local bread topped with bourbon peaches, whipped cream, and toasted pecans. Accompany this feast with a mimosa, Bloody Mary, or a Sunny Sunday. For other brunch ideas, check out Staunton’s Brunch Bunch. If you want to do something really wholesome (and fun!) that looks great on Instagram, head into the county and visit a pick-your-own farm. The Valley boasts apples, grapes, and pumpkins in the fall. Heading north or south? Detour home along the Skyline Drive or the Blue Ridge Parkway. Both offer spectacular views of fall colors and will give you access to hikes in Shenandoah National Park or George Washington and Jefferson National Forests.